Located in a gorgeous early 19th century Georgian villa, Societi Bistro exemplifies the neighbourhood restaurant in a suburb like Gardens. It understands exactly what the happy mix of affluent locals and the many foreign tourists who reside in the city bowl are seeking – a homely, laid back yet elegant, white tablecloth setting; outdoor space for warm summer evenings; fireplaces for winter nights; friendly, welcoming staff; upmarket, comfort food that isn’t too pricey. It also incorporates a cosy neighbourhood bar. Add to that a long wine list with everything on it available by the glass, and food that is broadly appealing, conservative but far from staid or boring, and it is a winning recipe. Societi is packed most nights, almost year-round. Better still it caters for vegans. There is always at least one main course on the menu for vegans and the menu changes according to the seasons. Chef Robert Giljam has brought a Japanese fusion influence. 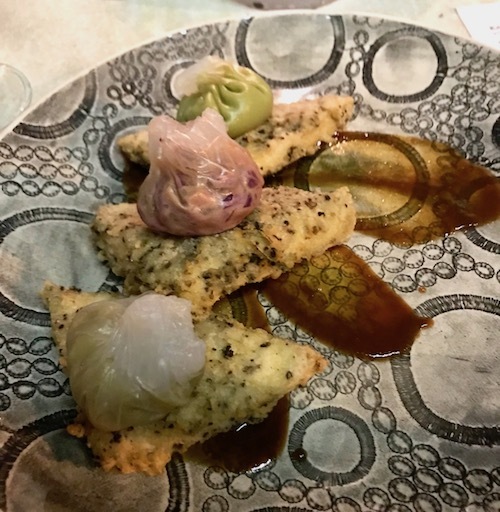 For vegans, the summer menu included three dim sum parcels and crusted, herby tofu. My only idiosyncratic criticism was that no chopsticks were provided so it felt a bit weird eating har gow with a knife and fork, though I watched some diners doing exactly that at Haiku the other evening, slicing and mincing up pot-stickers and siu mai with a fork. 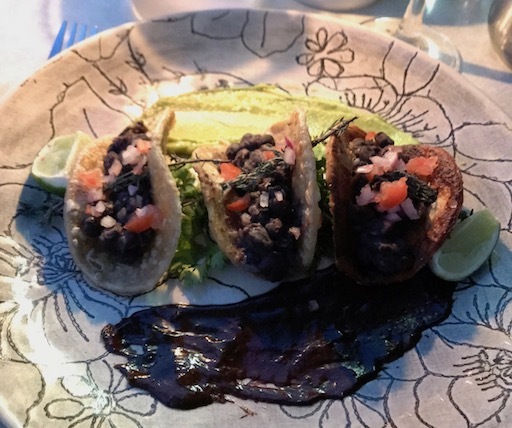 The current menu has vegan black bean tacos held together with a stick of thyme (pictured at the top of this post). The jalapeño, lime and cilantro are prominent, perfect for an autumn evening. To balance the chili there is guacamole, but also chilli chocolate, though for me this was one a step too much. But the chocolate is on the side so you don’t have to go there. 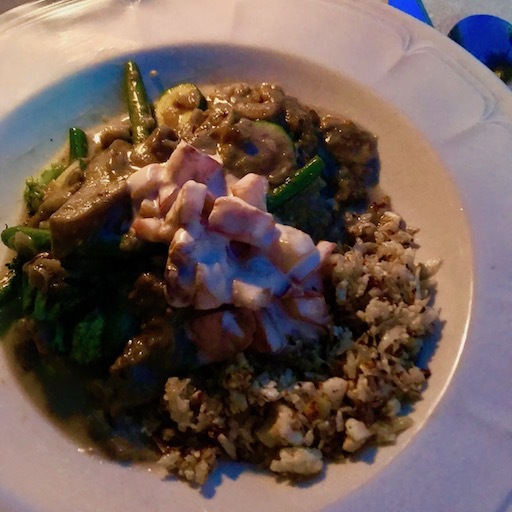 On the night I went, there was also blackboard special, a perfect, strong Thai green curry of green beans, broccoli and courgette, with mushrooms to give it body, and a tropical, coconut milk sauce on cauliflower rice. I hope Giljam will offers this often; it was superior to many green curries offered in our local Thai restaurants. 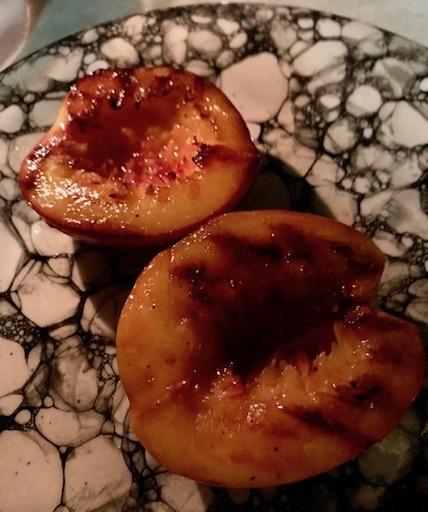 The chef will also make you a salad starter and for dessert perhaps grill some nectarines to go with strawberry and mango sorbet. The sorbets were not too sweet which is how I like them. 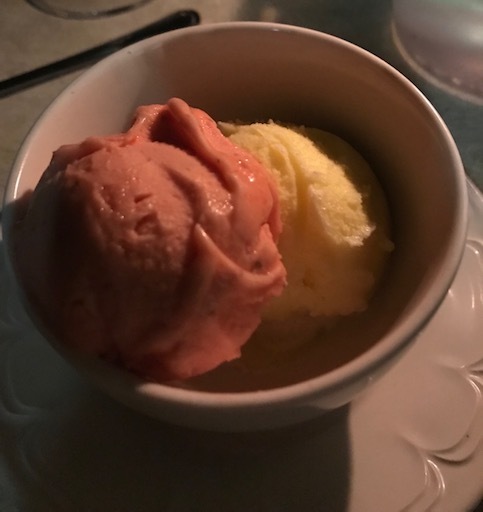 A minor criticism is that the sorbets suffer a bit from ice crystals, but reducing those is tricky and rarely achieved anywhere. Societi Bistro has pretty much everything you could want in a neighbourhood restaurant. Affordable enough to pop into regularly, and because it is so consistently good, it is the perfect for hosting guests and visitors or for holding special occasions. Societi Bistro, 50 Orange Street, Gardens, Cape Town. Tel: 021 424 2100.